There comes a time in life when you no longer want to have the wool pulled over your eyes. For me, that time has been steadily approaching regarding the food we eat; the way it is presented to us, and what it all means to the state of the world. One such book pulled the wool away from my eyes, and that is the newly published ‘Salt, Sugar, Fat’ by the Pulitzer prize-winning journalist, Michael Moss. On my quest to understand the food industry, and my horror at how much unwanted sugar is pumped into foods as cheap fillers, I stumbled across his book on Google and knew I just had to read it and share it. So I wrote to Random House requesting a copy to review and I was not disappointed. I would say ‘Salt, Sugar, Fat’ is not only an expose on what is really going on in the food industry as a whole, but is a Bible for anyone wanting to know how marketing operates and how we, the consumers, are readily hoodwinked into buying so many things based on very deceptive marketing and extremely false advertising. Mind-blowing expose on the foods we eat, the food industry as a whole, the way we as consumers are manipulated. Clear, concise, well investigated. A wake-up call! A very in-depth book, brilliant for those wanting a thorough knowledge base on what is happening. However, those wanting knowledge and a more general overview this book may be too long. You need to be very interested and passionate about the topic. 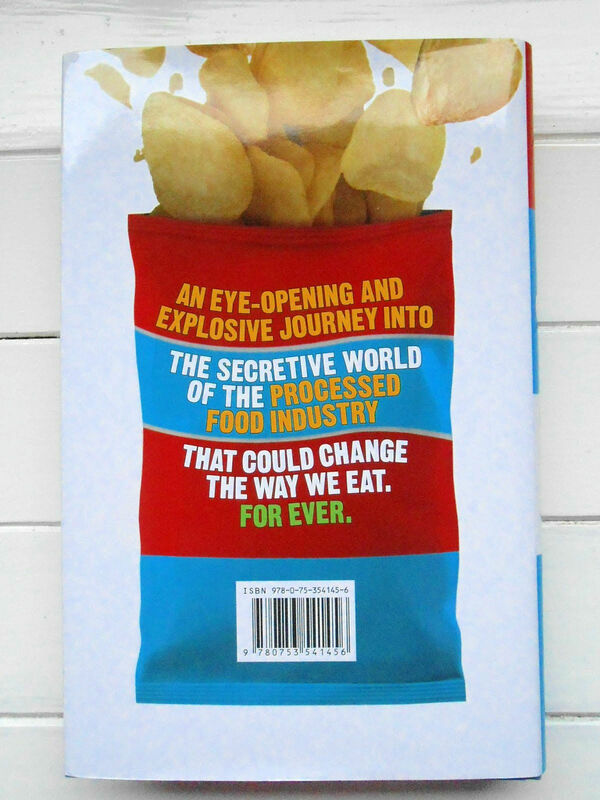 This book is a real insider view, a long book, so you have to be extremely passionate about this topic to delve into the inner dark seedy world of the food industry, but if you want information, a worthwhile reference book, and a way to discourage yourself from buying into the media marketing tools used extensively in the advertising of most convenience foods, this book is for you. The very fact that many heads of these huge corporations, like Kraft, General Foods and other top convenience food producers, would not eat or feed their own families the food they sell, is enough for me. But, add to this the dangerously scary marketing to children, this really brings it home. In many ways, I am glad that in the UK we have not been as brainwashed as the US population regarding these food products. Yes, we have many in this country, but from the vast amounts of money spent on advertising in the USA, it is no wonder that it is one of the main countries suffering from the obesity epidemic that is affecting the developed world (including the UK). When I read that certain sugary cereals were marketed to parents in a way that suggested that they would improve the school grades of their children, which was completely false advertising, and to companies adding tiny amounts of fruit to sugar-filled drinks so that they could loudly claim “CONTAINS FRUIT”, to make consumers believe they are buying healthy natural drinks, leaves me horrified. When one of the top heads of Coca-Cola was happily made redundant when he realised that the company was so brutal that it was happy to market Coca Cola to certain areas of South America that needed prosperity, food and shelter – not Coca Cola. These companies need their symbolic hands slapping hard. The Advertising Standards Authorities are clearly not doing enough. I would like all convenience foods, sugar-laden, saturated fat full, salt driven foods and drinks products to be clearly labelled “WARNING, this item, if consumed regularly, WILL LEAD TO HEALTH PROBLEMS”: and for all advertising of these foods to be taken off TV. I would like to see children from an early age educated on the information in this book in schools. People need to be made aware so that they can make informed choices. These food corporations do not take responsibility. They still blame the consumer for choosing to buy their foods & beverages, even though they have made them so thoroughly addictive by using trained chemists to create a ‘BLISS POINT’ in these products, that, much like crack cocaine, you will ‘need’ this food. They have done everything in their power to make the consumer addicted to their products, much like illegal drugs or cigarettes, for profit. They are responsible for marketing and creating products that have caused obesity and health issues. We, the consumers are responsible in that we need to investigate and become more aware. ‘SALT, SUGAR, FAT’ lifts the lid and blows the whistle on the food industry. An excellent wake up call! If random house are to do another publication of this book I would also recommend they make a short book, half the size for the general consumer. With key points, summaries of what is happening and has happened. While I found this book riveting I feel the only thing it lacked was the interest factor. A general consumer wanting awareness wants to know in a more general way what is going on but for those into marketing, writing, teaching, this book is an epic investigation and thoroughly researched. 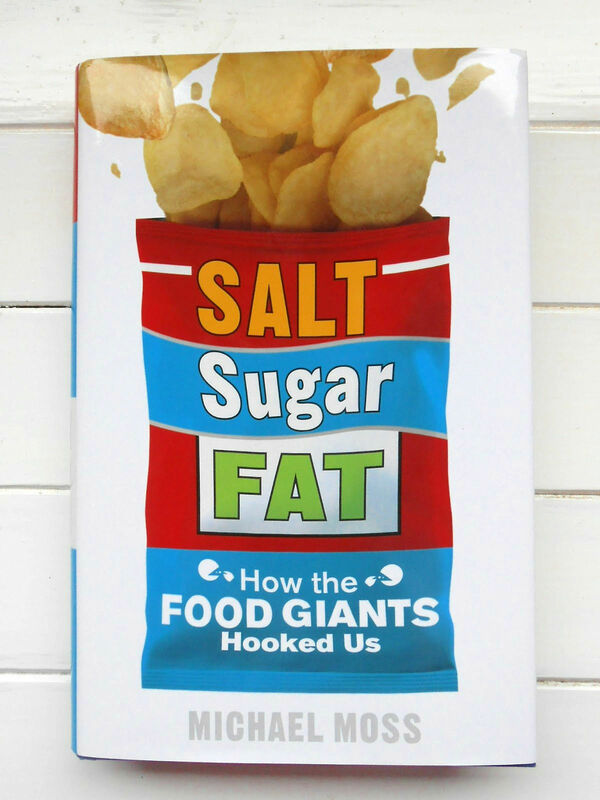 ‘SALT, SUGAR, FAT’ can be purchased from many leading retailers including Random House UK £20 for the hardback edition. Disclaimer: I received a free copy of ‘Salt, Sugar, Fat’ by Michael Moss from Random House via Edbury Publishing in the UK. I specifically asked for this book because of my interests on this blog and felt my readers would benefit from my honest review.